For years, Valentine's Day has been celebrated as a day when we rejoice and show love to the ones who matter the most in our lives. A chance to get closer to the emotions deeply felt each day. When cupid strikes, the heart triggers a desire to give part of your soul to that special someone. 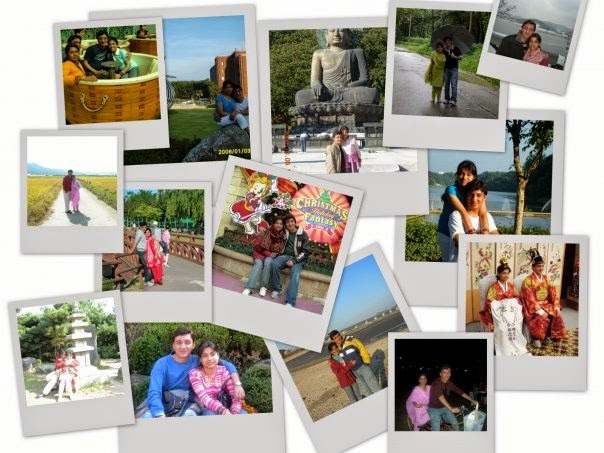 I still remember my first Valentine with Sadhna in 2006. My heart telling me that she was the one ... the one I'd been waiting for ... the one I'd love forever. And my heart was right. In that perfect moment when I'd proposed to her, I gave her myself completely ... knowing that my heart will remain safe and snug with her. To me, love is the purest of all emotions. Unadulterated and non-judgmental. Love, like life, ought to be celebrated each day. Not with material but memories that rekindle and keep that desire burning. If I'm granted unlimited powers on the coming Valentine's Day, I would take my sweetheart on a journey in time and space, showing her a whole new world just with the snap of my fingers. No passport, no visa, no foreign currency, no lodging … nothing to worry about. I'd leave no stone unturned to make this day as memorable as possible. There are many things in life we wish to accomplish but let go of due to paucity of time or resources. When presented with a chance to live life king-size, I'd make sure to fulfill all those dreams and desires that rest in the eyes of the one I adore. Like me, exploring and gaining life enriching experiences beckon her as well. So our Valentine's Day would be a day full of travel and adventure. 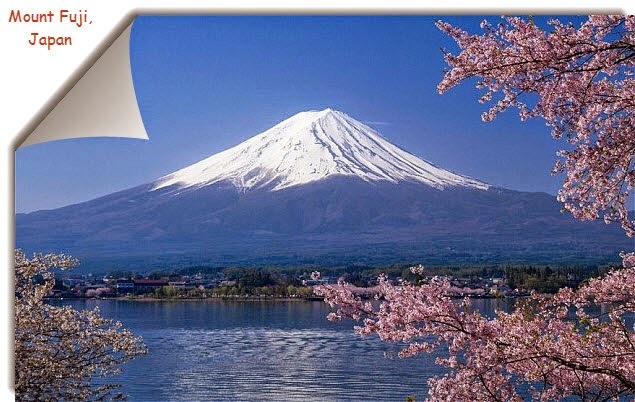 To begin with, both of us would go on a hike to the top of Mount Fuji in Japan, where we'd enjoy a mesmerizing sunrise. There's nothing more spectacular than to view the majestic sunrise in all its glory shinning right before your eyes, stretching its rays in the limitless sky and touching everything. Simply breathtaking! Let's continue our romantic sojourn. South Korea, for the simple reason, is the place where it all began. The place where we actually fell in love, made our home, had our family, and those innumerable experiences that would last a lifetime. Seoul it would be to be more precise. It still feels as if we live just a hop, skip, and a jump from Korea's capital city. 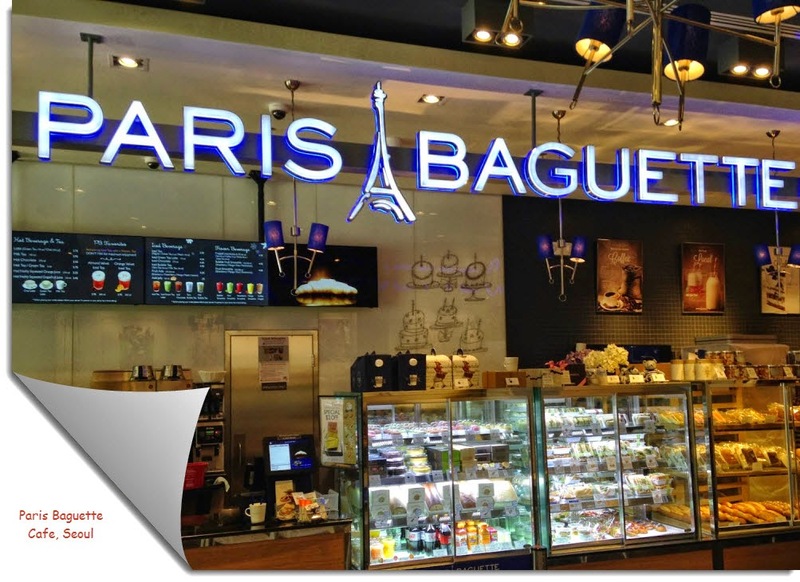 We'd take a morning stroll along the alleys where we once walked hand in hand, enjoy a morning cup of coffee at The Coffee Bean & Tea Leaf outlet, and have a delicious walnut pie from Paris Baguette. Just soak in some more sun, look into each other's eyes, and get a bit teary (we loved the place! ), and move on. She loves the vastness of the sea, the shades of blue, and the mystical waves. 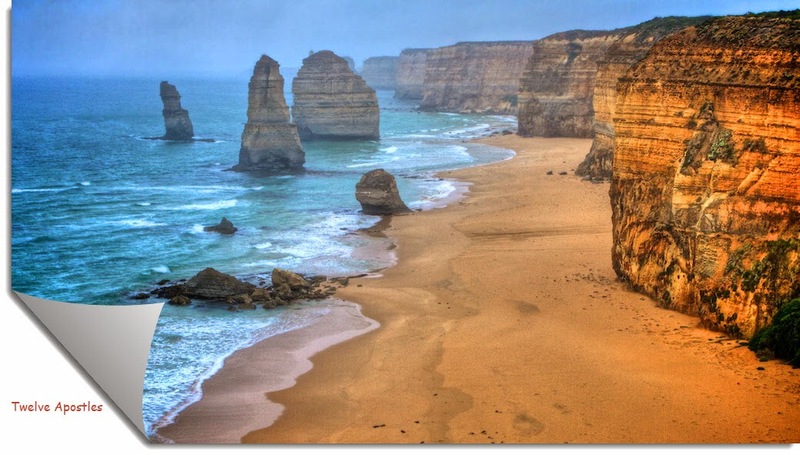 So we'll get transported to the Twelve Apostles, which are a collection of limestone stacks by the Great Ocean Road in the state of Victoria. These 45 meters high, soft limestone Apostles make for an amazing view. Truly nature's architecture at its best. Not done with Australia yet? Take a deep dive from Victoria to the Great Barrier Reef, which is located in the Coral Sea just off the coast of Queensland Australia. 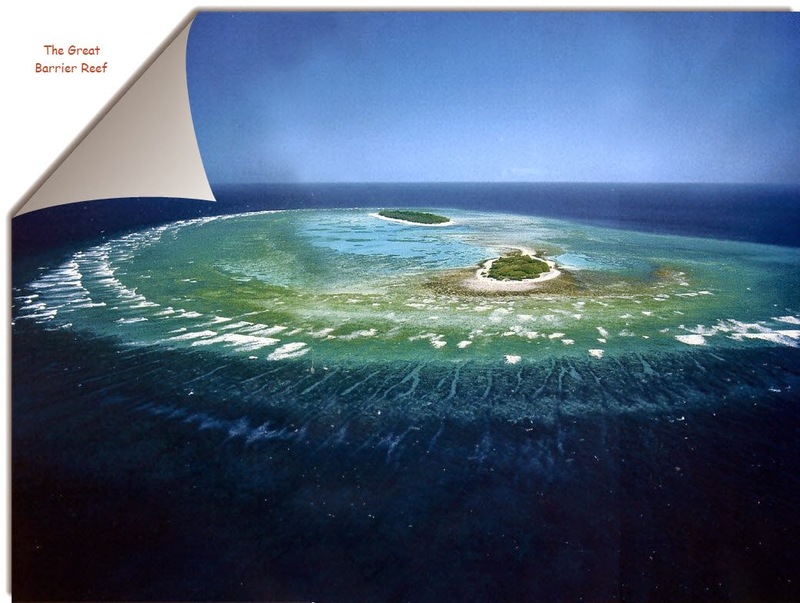 Designated as a UNESCO World Heritage Site in 1981, the Great Barrier Reef is the single largest structure made by living organisms that can also be seen from the outer space. Another example of Mother Nature's artistry. How about authentic Thai cuisine in the picturesque Phuket. 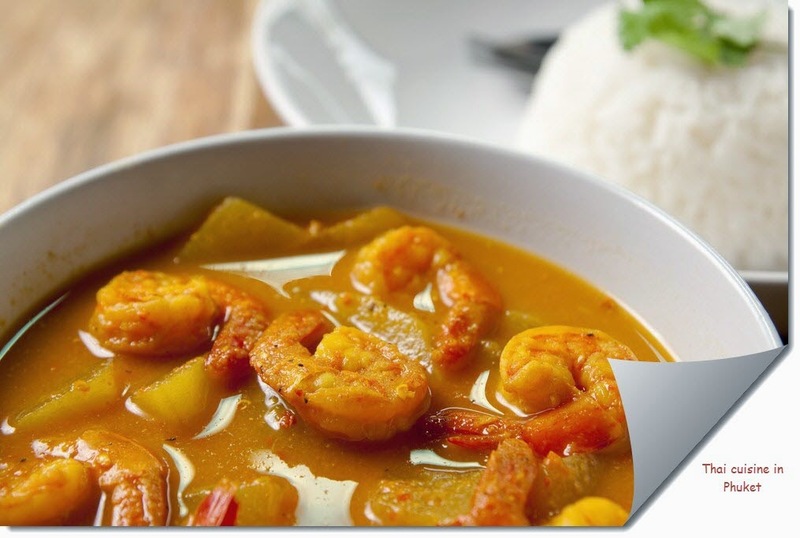 The aroma of steaming hot Thai curries and the exotic flavorful rice. Yum! Though easily available all over the world, Thai food in Thailand can itself prove to be a life-changing experience. Our next stop? The Seven Wonders of the World. 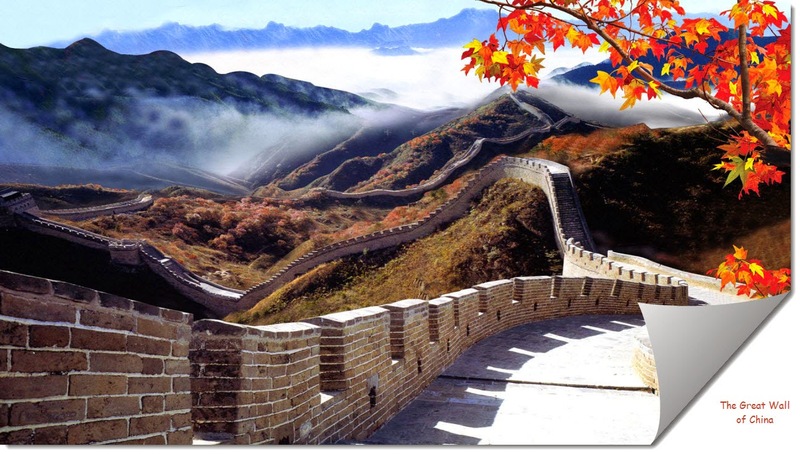 Beginning from the Great Wall of China to the Roman Colosseum in Italy. We'll stopover at the only surviving wonder from the ancient world, the Giza Necropolis in Egypt. 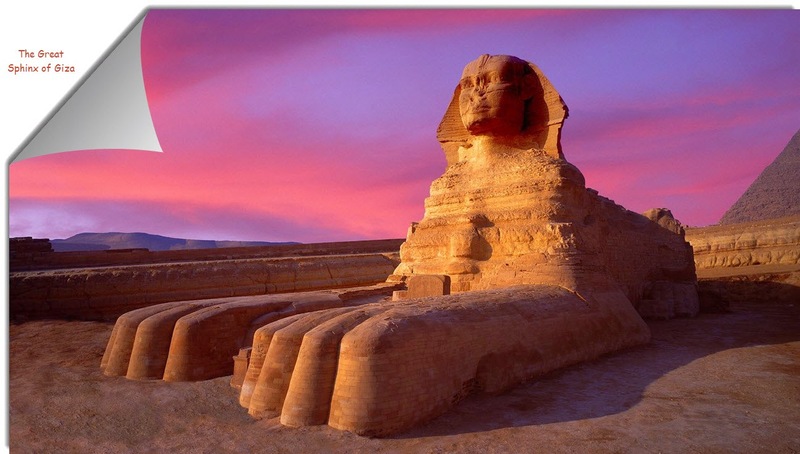 The great pyramids and the sculptures of the Great Sphinx of Giza are synonymous to ancient Egypt. The tour will answer some of our questions about the rise and fall of the ancient Egyptian civilization. Next pit stops: Petra or the Rose-Red City in Jordan, Chichen Itza in Mexico, Machu Picchu in Peru, and the spellbinding humongous Christ the Redeemer statue in Rio de Janeiro, Brazil. 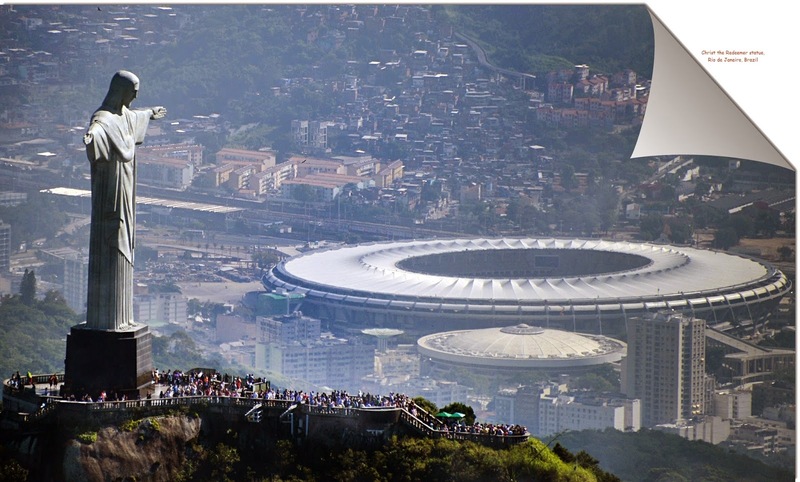 Created by a French sculptor and built by a Brazilian engineer, Christ the Redeemer promises a surreal experience to all visitors, the kind that gives you Goosebumps and brings you in face with the presence of the omnipresent Almighty. 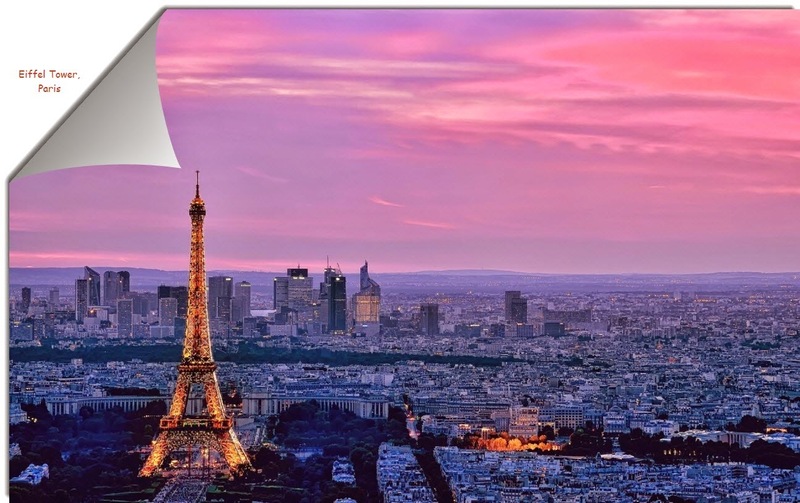 How about a little fun in Paris, the most romantic city in the world! A hot cup of coffee with Eiffel Tower in the backdrop and a lovely lady by my side would be the perfect setting for a date. Fresh baked croissant and French baguettes - just enough to relax and rejuvenate the soul. A quick look at the Statue of Liberty and the beautiful Niagara falls in the US. 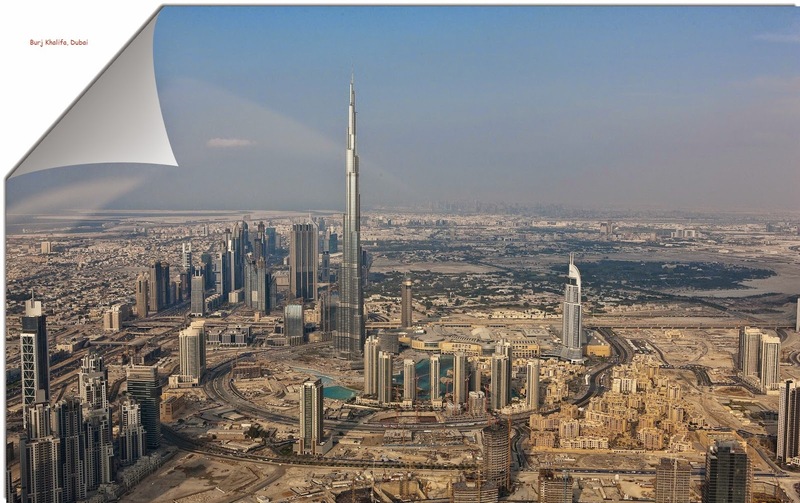 Plus a visit to the tallest man-made structure – the Burj Khalifa – in Dubai. A little retail therapy and then return to motherland, India. Wait it's not over yet. A royal Mughlai dinner awaits the queen of my heart at a personalized shamiyana with the majestic Taj in its backdrop. 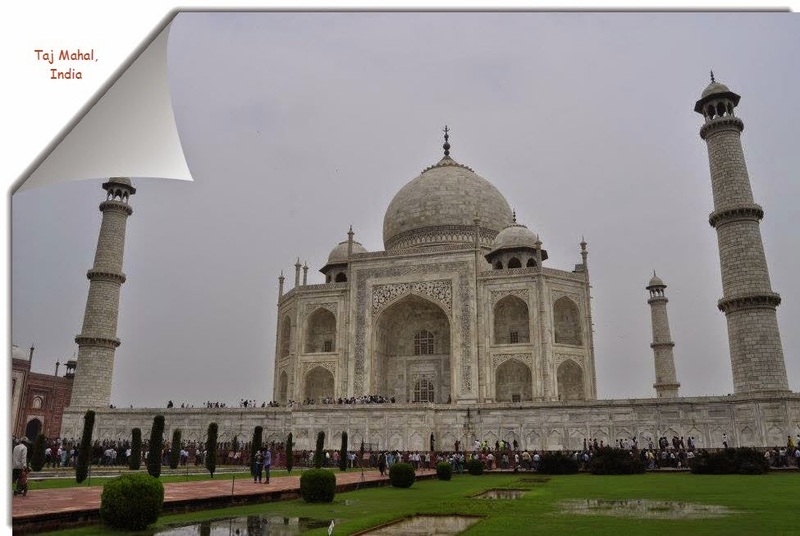 The beauty of Taj in moonlight is matchless. Soothing romantic music and memories of a day well spent. Just enough to hit the bed. Now? No wait. Close your eyes and get on a highway to Maldives. Walking hand in hand next to the Ocean Of Stars. This Maldives beach is covered with bioluminescent phytoplankton emitting light and presenting an illusion of millions of stars in the sea. From hiking and watching sunrise to dipping in the sea of stars. Seven man-made wonders to natural bounties. Life is indeed empty without the right partner to share these spectaculars with. Its void without that someone special to fill in all the colors and smiles. It’s been nine years already and the emotion hasn't gone stale. The destinations are aplenty. I only hope to have her company – the lady I love the most – in this lifetime and a few more to come. Wow what an eloquent itinerary!!! Your love has truly, madly, deeply sketched out the strategy for this awesome expedition this Valentine’s :) These places are indeed among the best dream locales to be visited before one dies!